Hi, no not yet, but I will be adding that feature. Thanks! I didn't think about it actually. Possibly for an update. Hi everyone, I made a Silent Hill inspired survival horror game named The Glass Staircase. This old house has never treated you wrong, now has it? Now be good girls, all of you. The Master will need you to be strong during these troubling times. Remember: Good girls take their medicine. Good girls do their chores. Good girls go home. Hi, yes there will be soon. I'm working on controller support in the update. 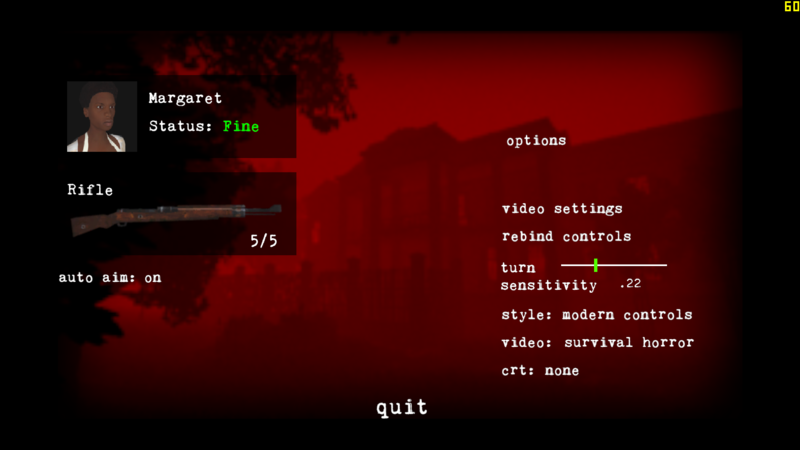 Hi, no it's not possible to play Babysitter Bloodbath on anything other than Windows. It should be out next month with the release of Stay out of the House. I'm actually implementing controller support in both games at the same time. I'll try to figure out what's wrong.